It's really very simple to create administrator CMD prompt on the Windows 8, 8.1 and 10 desktop! Use this solution also for Server 2012 and 2008! It is quite expensive if you have to use the right mouse button, if you often have to make system changes under Windows in the administrative mode, here is a simple solution how you can simplify it. You can also use this example as a template for other programs. Also works on all Microsoft Windows Server operating systems! Administrator and No Admin Command Prompt on Windows Desktop! ... create one Windows-8 Desktop-shortcut but use for command (path) and the name cmd. Please create a copy of the cmd shortcut and rename it to cmd-admin (... see Image-1 Arrow-1) and now click with the right mouse on cmd-admin shortcut and select Properties (... see Image-1 Arrow-2). O.K.! In cmd-admin Properties click "Advanced" (... see Image-1 Arrow-3) , in Advanced Properties" check the label "Run as administrator" and at last please click "OK" (... see Image-1 Arrow-5). ... run cmd.exe (command prompt) in administrator mode on Windows 8.1/10! ... windows 8.1 Desktop Shortcut for Standard User to run an program as administrator! Some of Microsofts windows commands can be only run in adminmode, as these require admin rights to make system relevant changes on / for Windows OS, this example is also for Microsoft Web Server and some older Windows Operating System! This option allows you to run this shortcut as an administrator, while protecting your computer from unauthorized activity. Windows-8 - FAQ-99: How to create admin CMD on the Windows 8.1 and 10 desktop? How to make cmd administrator in windows 8.1? System restore administrator cmd exe windows 8? Windows 8 how to create a shortcut running as administrator? Adding command as administrator icon to desktop or create shortcut for cmd.exe windows 8.1? Can I link the cmd.exe on Windows 8 desktop? I wonder if you can create a shortcut for the command prompt on Windows 8 desktop? Shortcut for cmd in windows 8? Put administrator command line on desktop windows 8.1? How to create administrator command prompt on my Windows 8 desktop? How to create shortcut of administration cmd for window 8? Can you CMD ever a shortcut on the Windows 8 desktop to create? Add command prompt to windows 8.1 desktop? How to bring cmd in desktop in Windows 8? How to create adminstrator in my computer with window 8 as command? Windows 8 create shotrcut to open file as admin? Make anyone an administrator windows 8.1 cmd? Command shortcut for screensaver on windows 8.1? HOW TOCREATE ADMINISTRATOR CMD IN wimdows 8/1 Desktop? Run cmd as administrator windows 8.1 at startup and windows 8 make cmd? Command prompt windows 8 desktop properties? Shortcut command in windows 8.1 or cmd as administrator from batch? How to create shortcut on widows in cmd? How to activate windows 8.1 with cmd? Add command prompt to desktop 2012, Windows 8 cmd shortcut path? Create shortcut for cmd.exe on windows 8? Create admin in window 8? Administrator cmd prompt for windows 8.1? Create administrator command prompt shortcut windows 8? Set administrator in windows 8.1 command promt? Cmd on desktop windows 8? Create windows 8.1 user from command? Administrator keyword for run command? Windows 8.1 administrator command prompt shortcut? If a Command Prompt shortcut on the desktop possible? Put cmd on windows 8 desktop? How do I create a desktop shortcut for the command prompt cmd.exe? Create adminstrator account in wimdows 8 in command prompt? Creating command promp windows 8? Windows 8.1 extention command prompt? How to generate WEI in wimdows 8.1? 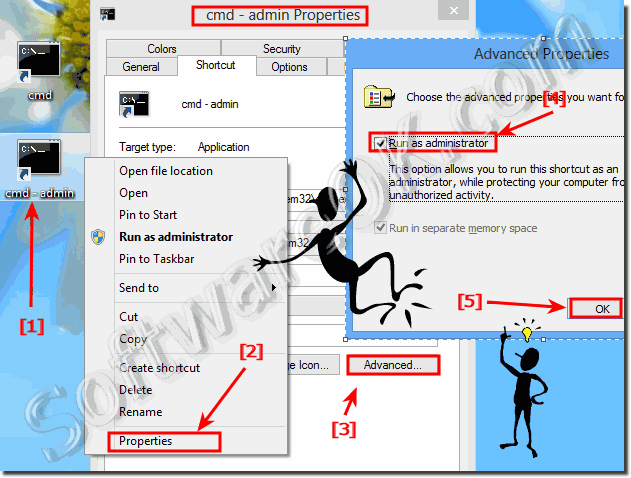 How to create admin using cmd windows 8.1? Windows 8 pc how to make a shortuc an administrator? Win8 cmd as admin to desktop? Create an Administrator command prompt windows 8.1 desktop cmd shortcut? Windows 8.1 cmd as admin? Administrator cmd.exe in startup windows 8? Widows 8 add command prompt desktop?